We may have all breathed a sigh of relief when last week’s cold snap finally eased, but for those working in public health the consequences of the cold weather are still playing out. Cold weather poses a significant risk to health. There is a notable rise in deaths, and also illnesses and injuries, during the winter period. Indeed, in England and Wales there were 11.6% (18,200) more deaths in 2013/14 during the winter period (December to March) compared with the non-winter period (known as “excess winter deaths”). Older people, particularly those aged over 75 years old, are most vulnerable to cold weather-related illness. The majority of excess winter deaths occur within this age group and those living on their own or who are socially isolated are most at risk. Other groups at risk include those experiencing chronic or severe illnesses, particularly heart conditions or circulatory disease, children under the age of five, and homeless people /street sleepers. The reasons why cold weather has such a negative impact on health are complex and interlinked with fuel poverty, poor housing and health inequalities. There can be an increase in circulating infectious diseases, particularly flu and norovirus, and snow and ice can cause falls. Cold weather has also been linked to increased cases of hypothermia, carbon monoxide poisoning (from faulty heating appliances), and mental health problems such as depression and anxiety. However, there is evidence to suggest that many of these ill effects are preventable. 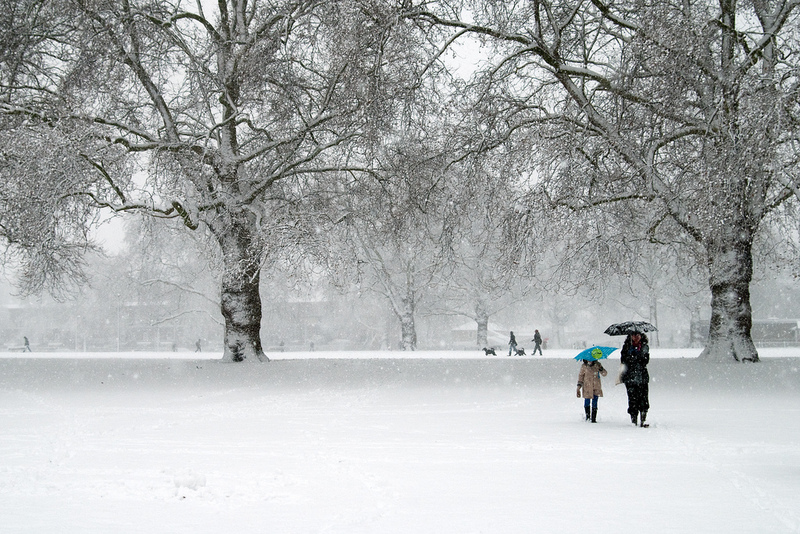 In some northern European countries, such as Finland, the rate of winter deaths is far lower than that in England, despite experiencing much lower temperatures. To help address this, the Government has published an annual ‘Cold Weather Plan’ (CWP) since 2011 aimed at local authorities, health and social care staff and any professionals working with vulnerable people. The plan operates a system of cold weather alerts, comprising five levels (Levels 0-4), from year-round planning for cold weather, through winter and severe cold weather action, to a major national emergency. Each alert level aims to trigger a series of appropriate actions, which are detailed in the plan. The latest CWP was published in October 2014.
raising awareness of preventative actions among staff. supporting vulnerable clients to seek appropriate help. There are also key public health messages which should be communicated with residents/patients, relating to flu vaccinations, keeping homes adequately heated and ventilated, available financial support, and looking after vulnerable older neighbours and relatives. A guide to communicating effectively with the public during periods of extreme weather was published recently by the Local Government Association (LGA). The LGA have also provided guidance for local authorities on how they can help to reduce the negative effect of cold weather on health. It highlights examples of innovative schemes, including the installation of free temperature sensors and a volunteer ‘winter squad’ to care for vulnerable residents. Investing in cold weather planning is important – although the media focuses on travel disruption during cold weather, for many of the most vulnerable in our society it can be a death sentence. The Information Service has a number of resources on cold weather planning – a selection are listed below.